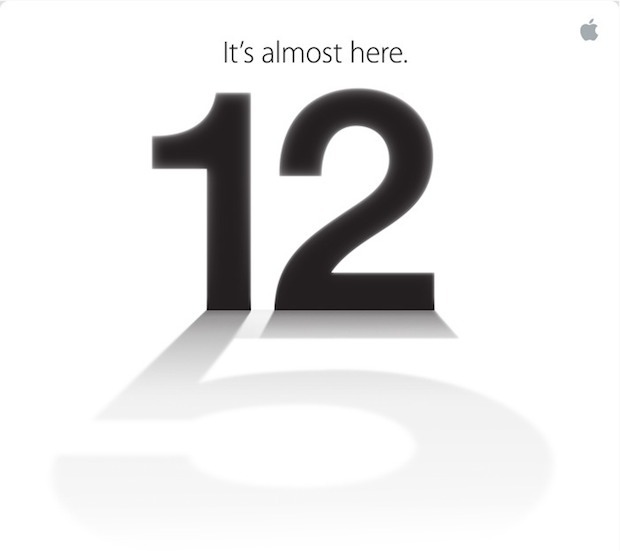 Interestingly, that same invite graphic from Apple shows the number “12” reflecting the number “5”, strongly suggesting that Apple will indeed reference the new device as the “iPhone 5”. There were some suggestions the next iPhone would be called “The new iPhone” rather than “iPhone 5”, taking a cue from “The new iPad” which was so named rather than “iPad 3”. Colloquially, the devices often end up being called by a number anyway, perhaps a reason for Apple to directly indicate the number 5. The launch date of September 12 has been expected for some time, and most indications point to a release date on September 21.
iPhone 5 Announcement on September 7? I sure hope they do pre-orders on the 12th too, I don’t live anywhere near an Apple Store! They didn’t make that image. Look at de ‘shadow’ of numer 12. That’s clearly a 5.